I walked past the Westbury-on-Trym Post Office branch this morning to find bewildered-looking locals, clutching their letters and parcels, standing outside the seemingly closed store. On the door has been tacked two copies of a poster which cries: “The’re [sic] closing us down!!! We need your help!!!”. 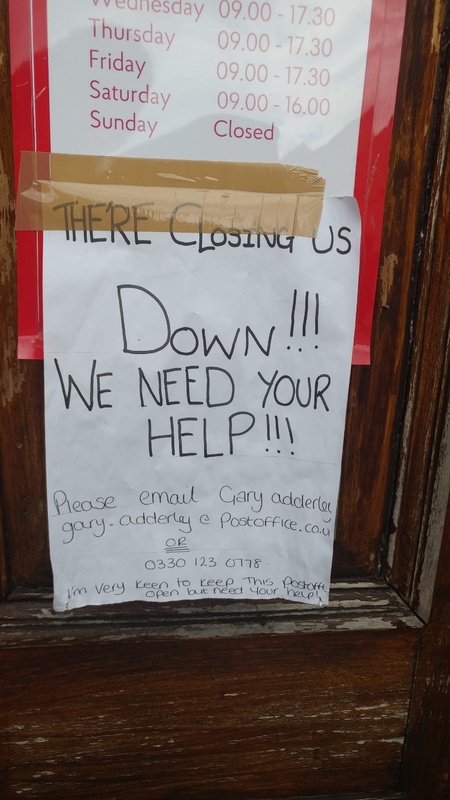 The apparent contact details for “Gary Adderley” are included, followed by a final note: “I’m very keen to keep this Post Office open but need your help!” It is unclear who exactly penned the poster. A quick Google search suggests the phone number is actually for the Post Office’s IT service desk. An old news article states that someone by the name of Gary Adderley was at the time a “Post Office agents contract manager”. The branch has currently disappeared from the Post Office’s online branch finder, with the nearest being in Henleaze: about 15 minutes away at a brisk walk. Other nearby branches include Druid Hill and Greystoke Avenue. Speculation is rife on the Facebook page of Wotba, the Westbury-on-Trym Business Association. One commenter asked a couple of days ago, “How do people know if has closed for good?”, and another replied, “The chap behind the counter told me yesterday when I went into send off a parcel. They had been told that morning that Friday was the last working day”. Another speculates that “apparently there was a meeting and the new owner has decided to drop the post office side and use the premises as a shop”. Others suggest it may be “just having a refurb”. 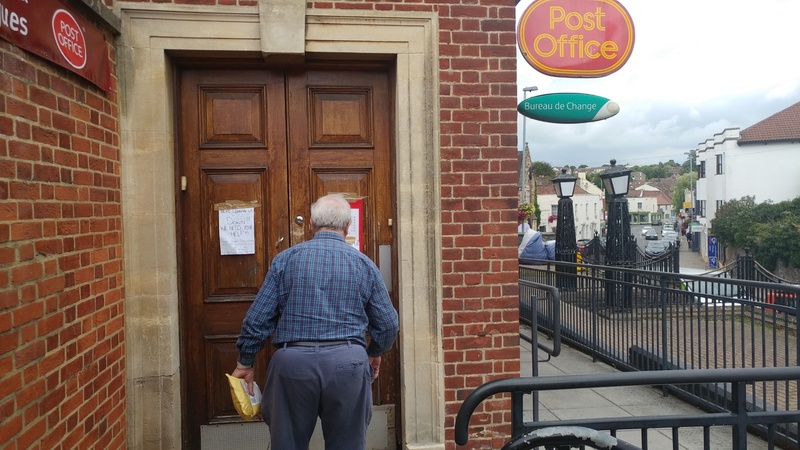 It seems that the establishment has seen tricky times as of late, with Steve Smith – Conservative councillor for Westbury-on-Trym and Henleaze – writing on 24 July that he had “just heard from Royal Mail about the temporary closure of Westbury on Trym post office. This is a decision that has been taken by Royal Mail following a visit to the site… They have not given any reasons, but say that an internal investigation is underway”. “We understand and appreciate how much communities rely on our services and we sincerely apologise for any inconvenience caused by the temporary closure of Westbury on Trym Market Post office. We would like to reassure customers that the decision to suspend services at any of our branches is never taken lightly, and we will only do when it is appropriate to do so. The branch was initially closed from 23 July until 26 July, when a temporary postmaster was appointed. The temporary Postmaster subsequently resigned and the branch has again been temporarily closed since Friday 10 August. We look forward to getting some more clarity about what the future holds for the branch. If you have any further information, do please get in touch.